The National Trust (NSW) has announced its Board of Directors for 2019, as elected by the organisation’s members. The results of the election was announced at the National Trust (NSW) Annual General Meeting on 24 November 2018 and the subsequent election of the Executive Board (determined by the Board of Directors) appoints the President, Deputy President and Treasurer. The Executive Board was elected last night in Sydney. The National Trust (NSW) has welcomed two recent additions to its Board of Directors – music producer longstanding management committee member of the Woodford Academy in the Blue Mountains, Noel Burgess; and Fenella Kernebone, television and radio presenter and Head Curator at TEDxSydney and Architecture Festival Ambassador. 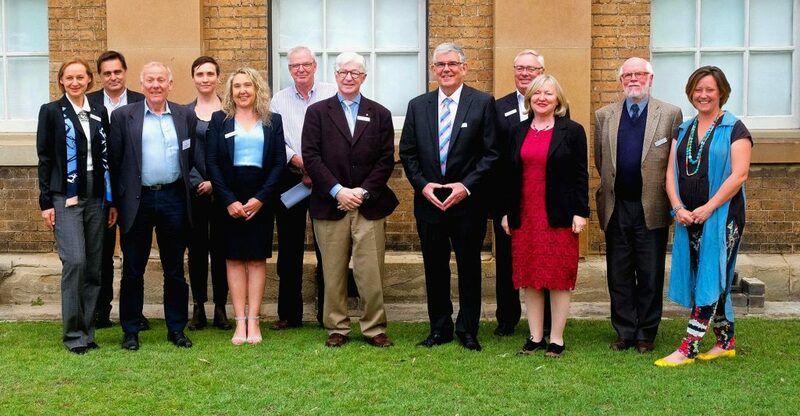 “It gives me the greatest of pleasure to welcome our elected Directors to the Board and to continue to serve the National Trust (NSW) as President,” said Brian Powyer. “The continuity of many of our directors’ means that our organisation is under strong and expert stewardship – and it is thrilling for us to add new expertise to our leadership. “I would also like to make special mention of our retiring Board member, Alan Kerr, who has been dedicated to the leadership of the National Trust (NSW) since 2013 and will continue to be an avid supporter of the organisation. On behalf of the Board, I thank Alan for his dedication and commitment,” Brian Powyer said. “I look forward to working with our Board of Directors, who bring so much knowledge and expertise on heritage from across the state to shape the future strategy of the National Trust (NSW) in the coming year,” said Debbie Mills, CEO. See the full list of profiles for the National Trust (NSW) Board of Directors.